Each student had a robot kit based on Pololu motors and chassis. with our custom NXP Kinetis K22FX512 board (see “Zumo Robot with WiFi and GPS“) available. 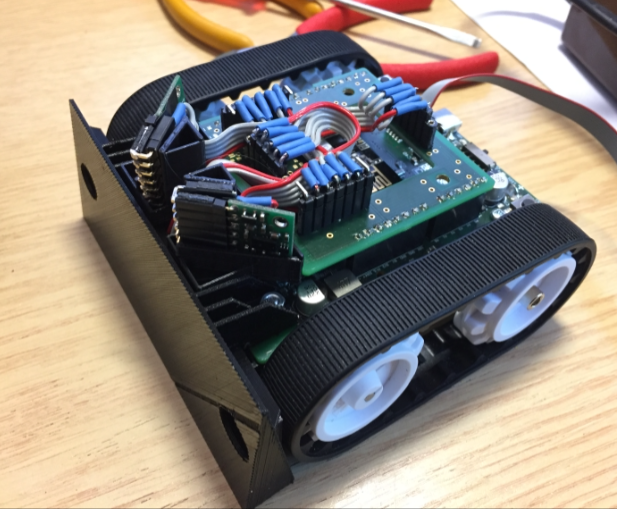 The kit included four STM VL6180X ToF sensors (see “Tutorial: STMicroelectronics VL6180X Time-of-Flight LIDAR Sensor” with range scaling up to 60 cm distance, with the optional 3D printed parts (see “3D Printed Sumo ToF Blade“). 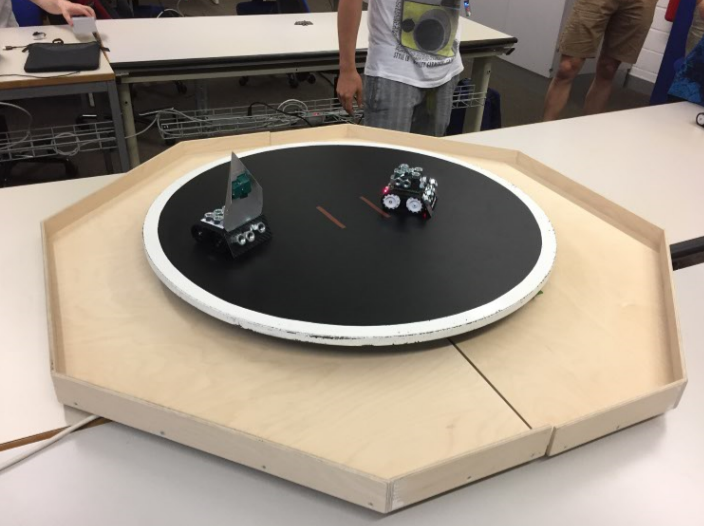 As a change from of the normal Sumo rules, the robots are started with a remote controller (see “Enclosure for the Remote Robot Controller with LCD Display“). Have a look at the following videos. The ranking is on Challonge. 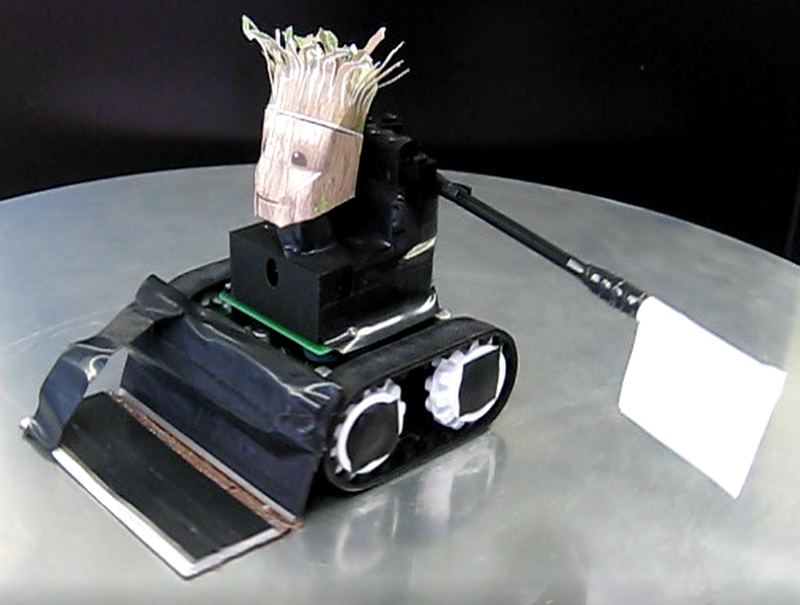 This entry was posted in 3D Printing, ARM, Boards, Building, CPU's, Embedded, Kinetis, NXP, Pololu, Robots, STMicroelectronics, Tips & Tricks and tagged Building, Pololu, software, software project, Sumo, technology, Tips&Tricks, Zumo by Erich Styger. Bookmark the permalink. What fun. Thanks for the videos.